Overlooking sun-kissed paddocks, natural bushland and the mighty Stirling Range, is Kendenup Lodge and Cottages, one of the Great Southerns premier hosted accommodation properties. Located 30 minutes north of Albany and a corks throw from the award winning wine country of Mount Barker, Kendenup Lodge and Cottages is a place to relax, unwind and escape the everyday. Accommodation at Kendenup Lodge and Cottages is suited to couples, families, friends and corporate groups. Ultimate luxury is on offer at the Cottage of Indulgence, is popular for romantic getaways and honeymooners. Our Family Cottages sleeps up to six people in each cottage, with kitchen, TV, DVD, woodfire, reverse cycle a/c and a host of other facilities. The Lodge caters for corporate groups, families and friends wanting an overnight stay. 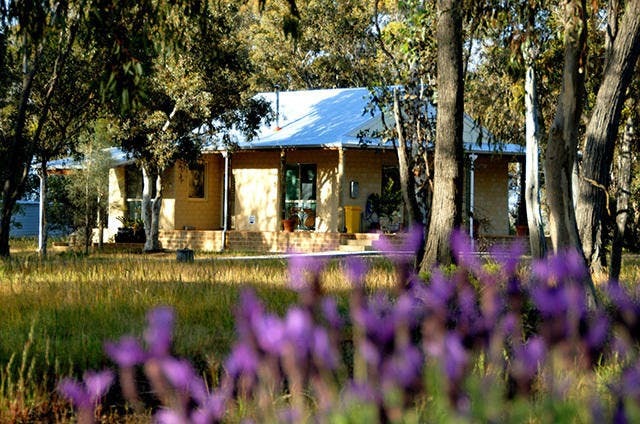 Accommodation at Kendenup Lodge and Cottages is suited to couples, families, and corporate groups. 3 cottages and the Lodge cater for a maximum of 48 guests. Surrounded by 40 hectares of natural bush, each option provides a unique and private setting. Cottage of Indulgence: Ultimate luxury is on offer at the Cottage of Indulgence, where crisp linen, warm colours, a cosy log fire and personalized service make it popular with couples and honeymooners. The private, below-ground spa, with floor-to- ceiling glass panes makes you feel part of nature giant, flood-lit blue gums create a dramatic backdrop. 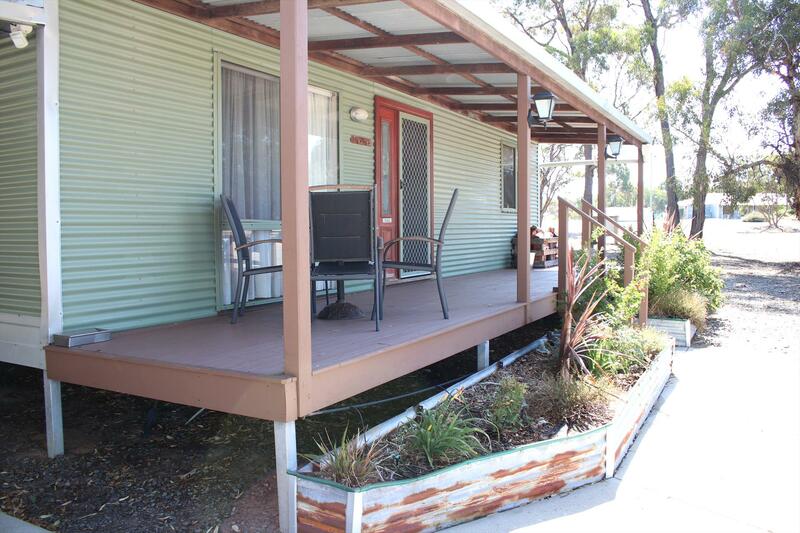 This two bedroom cottage features its own self contained kitchen, dining area and lounge. The Family Cottages: With two bedrooms sleeping up to six guests in each, the Family Cottages is ideally suited to friends or families. Separate bathroom, toilet, lounge, large fully-equipped kitchen and dining area give plenty of room to move. From a sun-drenched spot on the wide verandah, the Stirling Range feels like a mere arms length away. 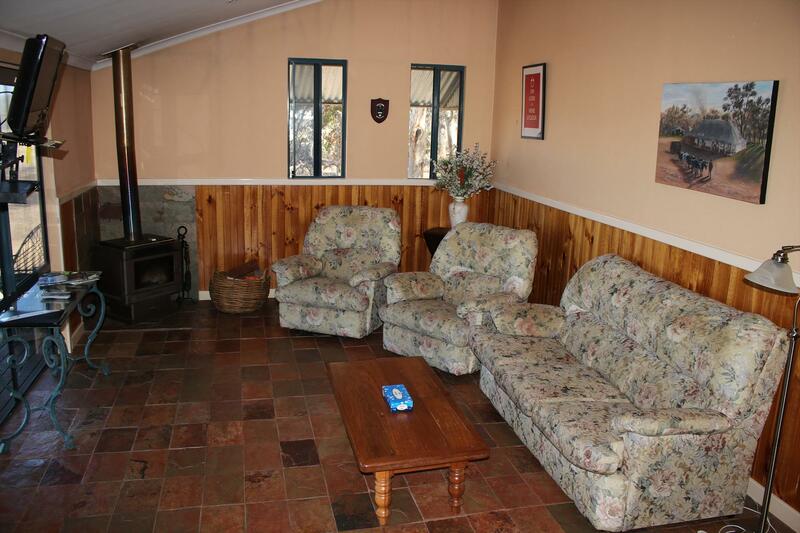 Each cottage offers a woodfire, TV, DVD, stereo and air conditioning. The Lodge: Opened in September 2006, the Lodge is ideally suited to corporate guests. 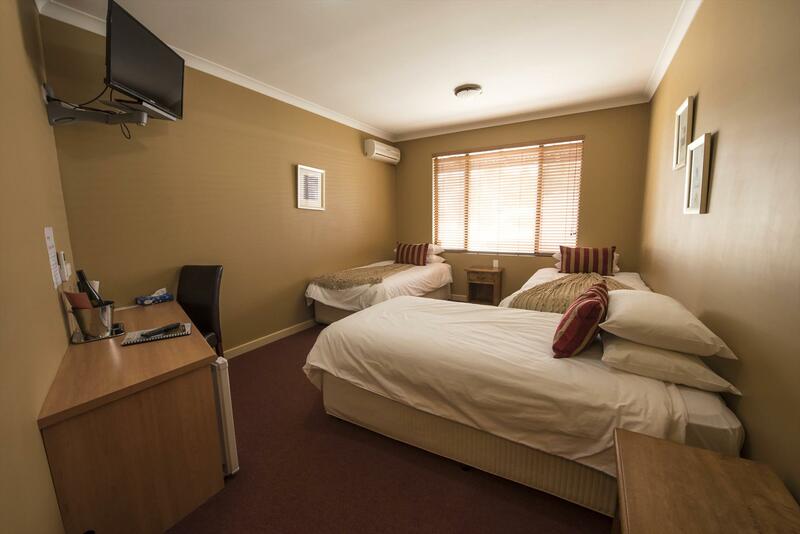 With eight air conditioned, double rooms, also including generous, king-size single beds, the Lodge can accommodate 32 guests at a time. Each room has a private ensuite, reverse cyycle airconditioning, TV and internet access. Guests have access to a dining area and stylish communal kitchen with commercial oven, dishwasher, microwave and fridge/freezer. Yarn-spinning with friends around an open fire at dusk on a cool evening is just one of the many guest experiences that make Kendenup Lodge and Cottages such a special place. Aussie bush barbecues are on offer and we entertain guests with our down to earth style. A wood-fired pizza oven and two outdoor entertainment areas for guests create hubs of activity for those wanting to socialise. Kids will love the chance to catch yabbies from the dam on the top paddock and then learn how to turn them into a mouth-watering meal. Always in view, the Stirling Range reveals another angle to its beauty from the verandah of the Lodge lounge. Our Cottage of Indulgence is 2 bedroom, each with a king size bed and separate balcony, sunken spa, airconditioning, woodfire, espresso coffee machine, dishwasher, heated towel rails and is totally secluded. Imagine this, your partner has organised a few nights away and you have no idea where you will be going. After a few hours in the car, or perhaps you live just down the road, you arrive. As you drive in you see the magnificent heritage listed Stirling Range straight ahead of you with the sun setting the Stirling Range has a purple hue. A short drive through the trees and you arrive at our "cottage of indulgence". As our Chef was pre-organised by your partner you immediately smell the aroma of your fantastic food experience that lays ahead of you , the butler who was pre-organised also comes to the door and greets you. Pre dinner drinks are served and you are feeling very comfortable and pampered. The coffee machine is ready to go, chocolates laid out for a late night indulgence, spa hot and soapy and the champagne chilled hails the departure of the chef and butler. The night is yours. Our private chef is an experience you WILL NOT want to miss. Breakfast not included, but can be requested. . This comfortable and cosy home away from home is fully self contained and has 2 bedrooms sleeping up to 6 guests in two bedrooms, each bedroom has a queen-size bed and a single bed. This cottage has reverse cycle air conditioning, wooden fire, bathroom with separate wc, open plan kitchen and lounge room, plasma screen TV, DVD and a private veranda with stunning views of the magnificent Stirling Range. Breakfast not included, but can be requested. Cots available at no extra charge, please inquire. Pack your bags and your kids into the car and head out to the country! This Family Cottage is ideal for families, friends and groups of up to 6 guests. This family cottage is 2 bedroom and each room has 1 queen and 1 single bed. This cottage is air-conditioned, has a wood fire, TV, full kitchen, a private veranda with the best view of the Stirling Range. The verandah is great to begin your day with that hot drink and to complete your day with a local red as the sun sets and projects back onto the Stirling Range. Breakfast not included, but can be requested. Cots available on request at no extra charge. 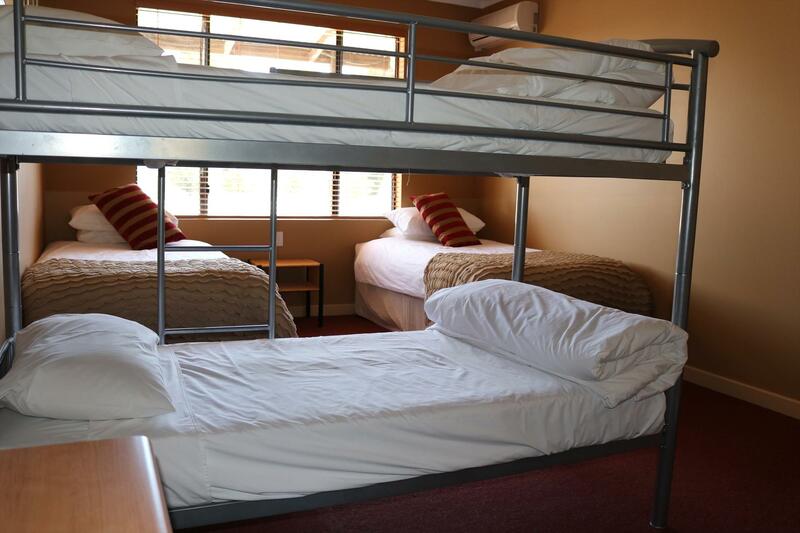 Our Lodge accommodation is ideal for large groups as the Lodge is set up to sleep 35 people. Each room sleeps 3, has private en suite, air conditioning, office desk and chair, TV and internet access. The communal kitchen is big enough for any group to prepare meals, the lounge bar with a wood fire area is just sooo comfortable going to bed will be secondary. The BBQ area also boasts a wood fired pizza oven for those brave enough. Breakfast is not included in price, but are available, please inquire. If a cot is required please ask, there is no extra charge. Our Lodge accommodation is ideal for large groups as the Lodge is set up to sleep 35 people. Each room sleeps 3, has private en suite, air conditioning, office desk and chair, TV and internet access. The communal kitchen is big enough for any group to prepare meals, the lounge bar with a wood fire area is just sooo comfortable going to bed will be secondary. The BBQ area also boasts a wood fired pizza oven for those brave enough. Breakfast is not included, but can be provided, please inquire. Cots available on request at no extra charge. Our Lodge accommodation is ideal for large groups as the Lodge is set up to sleep 24 people. Each room sleeps 3, has private en suite, air conditioning, office desk and chair, TV and internet access. The communal kitchen is big enough for any group to prepare meals, the lounge bar with a wood fire area is just sooo comfortable going to bed will be secondary. The BBQ area also boasts a wood fired pizza oven for those brave enough. Breakfast not included, but can be provided, please inquire. Cots available at request at no extra charge.